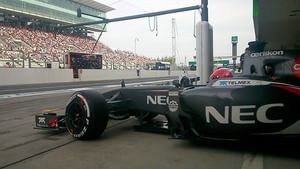 The high attrition rate in the practice sessions led me to believe we might be in for a treat in qualifying at Suzuka, but it turned out to be a similar session to that we have seen all year long. The Mercedes pair had a clear advantage and battled things out between them, whilst behind there were strategy calls and tyre decisions that had an impact on the final order. With thoughts turning to the wet race tomorrow, it was all about preparing for the worst and hoping for the best as qualifying got underway. If you missed any of the action, let the Factbyte Factbox guide you through qualifying for the Japanese Grand Prix. Hello F1 friends, how are you doing? All the news is breaking ahead of the Japanese Grand Prix, as if things weren't exciting enough! We've got half an hour before the qualifying sessions get underway, and we find out who will get pole position for the race tomorrow. 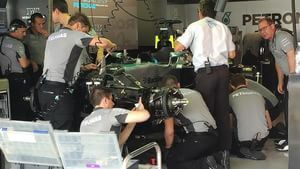 Lewis Hamilton is one of many drivers who have crashed during the practice sessions, although the Mercedes mechanics won't thank him for doing it in FP3 and giving them hurried work to do ahead of qualifying. 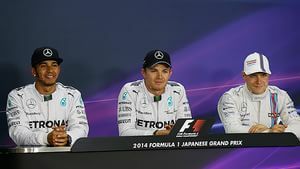 Executive Director (Business), Toto Wolff, has said he thinks all will be well for the championship leader, though. The big news breaking this morning came from the Red Bull garage, with Sebastian Vettel informing the team that he'll be leaving for next year for destinations unknown (Ferrari). Kvyat will be promoted to partner Ricciardo next year. None of that affects qualifying, only to focus the mind on what kind of job Kvyat can do, as he steps up to the big leagues next season. 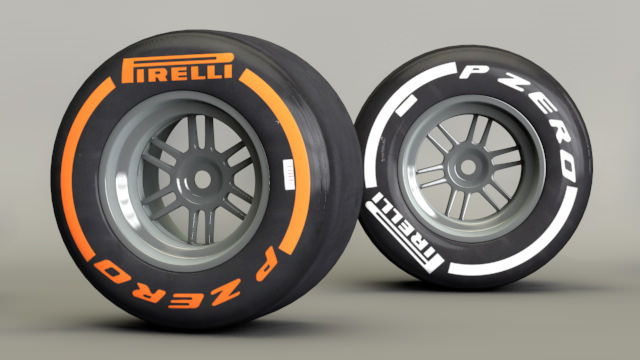 Pirelli have brought the two hardest compounds this weekend, hard and mediums (orange and white respectively). There's talk of rain, but we'll just have to wait and see! Getting pole position, or a place on the front row, could be super important this weekend. From the race information post: "A front row grid slot can be crucial to getting a good result, with 21 of the last 25 winners coming from pole position or second place." Final touches being made to Hamilton's car, but all looks to be well for the Brit ahead of qualifying. Pastor Maldonado will take a ten place grid drop from wherever he qualifies today, as the Lotus driver has used his sixth engine of the season. If he doesn't finish high enough up the order then leftover place drops will carry forward to Russia. 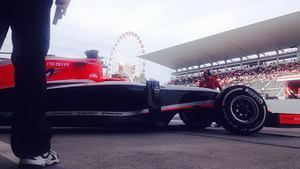 Kimi Räikkönen had a power unit issue during final practice, and they speedily worked through an engine change (just over two hours), to get him ready to go out in fifteen minutes. Kimi Räikkönen on his struggles this season so far: "The front doesn't work very well for me, it doesn't drive as I want. It's been getting better and better all the time." Keep an eye on the Williams pair, as the team look as if they've got the car back on the pace, and will be fighting near the top spots. But who will finish ahead? Suzuka is touted as a real "driver's circuit" because of the challenge it places in front of those behind the wheel. From the crashes we've seen so far, it really is! Tweet from @InsideFerrari: #FerrariJPNGP Record timing for PU change on Kimi's car! Good job #FerrariBoyz. Hopefully now all OK for qualy! Drivers are climbing into their cars now, just a couple of minutes until the session begins. Helmets on, gloves on, cars on, focus very much on. Kamui Kobayashi is the first driver out on track, hopefully ready to put on a show for the home fans. Lots of flags waving as he makes his way round an installation lap. Drivers are pouring out of the garage to get their Saturday campaign underway as soon as possible. Lewis Hamilton looks ready to get going, car nicely patched up. With just three minutes gone, there are 16 drivers out on track. Red Bull, McLaren and Marcus Ericsson alone remain in the garage. Button and Magnussen head out as well, they've got the harder tyres on as have most. So far, only Bianchi, Kobayashi, Chilton and Adrian Sutil have opted to go straight for the mediums. Brief lockup for Kobayashi there, as he crosses the line for a 1:37.977. Chilton follows behind, setting the exact same lap time. They're not exactly representative times, of course. Vergne sits in P1 for a moment with a 1:35, before Rosberg comes along and shaves two seconds off the time. Lewis Hamilton sets his first lap time of the day, beating Rosberg by just 0.06 seconds. Red Bull and Marcus Ericsson have left the pit lane now, just as the two Marussias and Kobayashi return. The drop zone currently features Marussia and Caterham, but also Grosjean and Pérez. Pastor Maldonado currently sits in 16th place, with that ten place drop looming over his head. Vettel reports losing sync during one of the corner sequences. The team reply they are looking into it. Just over seven minutes left on the clock, and many drivers have headed back to the pit lane to have a think about their next stint. It's very much team by team again here at Suzuka. Mercedes, Williams, then Alonso. Both McLarens, both Red Bulls. Further back, Sauber and Lotus have their drivers next to each other. Four minutes on the clock, Rosberg eyes the timing screens from the comfort of the garage. They may not need to run again. There are more white sidewalls on the cars now, with Everyone from tenth place back popping on the mediums. Marussia currently have Bianchi in 19th and Chilton in 22nd, with both the Caterham drivers between them. Sergio Pérez improves his time and moves up to tenth place. Grosjean also manages to haul himself just out of the drop zone in 16th. That puts both the Saubers out for now. A couple of slo-mo replays show Maldonado bouncing heavily over the kerbs as he navigates another lap. Team radio from Daniil Kvyat: "I think it's going to be hard to improve. I think that's going to be enough, we should box." The Red Bull pair have dropped down to 13th and 14th, they're likely to be safe and haven't needed to run the medium tyres. But a risky game, nevertheless. Gutiérrez improves out of the drop zone, moving up to 12th - a good job for the Sauber driver. Grosjean drops back into the bottom six, and he doesn't look to be on a better lap this time. Sutil also hauls himself out of the drop zone, which drops Pastor Maldonado down, both the Lotus drivers out in this session. The fastest three in that session were Hamilton, Rosberg, Bottas. Tweet from @Marussia_F1Team: Sadly not enough time to get our final laps, so Jules has to settle for P20 & Max P22. The Caterham of KOB between them. Quieter start to this session, just four drivers making an early appearance. Pérez, Sutil and the two Williams'. Kimi Räikkönen roars his new engine and heads to the pit exit. Rosberg completes his installation laps, being informed they have enough fuel on board for two timed runs. Five minutes gone, and all 16 drivers are out on track. Adrian Sutil crosses the line for the first lap time of Q2, a 1:36.656. He's immediately beaten by Sergio Pérez. As always, the Mercedes come out and wipe the floor with the rest. Nico Rosberg gets the edge on this first run, but Hamilton is only 0.032 behind. It's so close! First lap times on the board as drivers head back to the pit lane. The drop zone features both the Red Bull drivers, Vergne, Hülkenberg and both Saubers. All the 16 drivers are back in the pit lane now as a moment of calm falls across the Suzuka track. Team radio from Jenson Button: "Too much understeer in the car." Towards the top, Bottas is closest to the Mercedes pair, but still almost a second off. Alonso actually is a second down on them, currently in fourth. Bottas breaks cover and heads out for his final flying laps. At this point, we have all the drivers out on track except for Rosberg and Hamilton who are presumably satisfied with their super duper quick pace that no one can get near. Running on board with Sebastian Vettel, as the Red Bull driver looks to haul himself out of the bottom six. It's a tidy start to the lap, getting slightly more scrappy towards the end. Seventh place for the German. Ricciardo follows his teammate across the line and scoops sixth place. Epic lockup for Nico Hülkenberg, who was just managing to stay ahead of the split times for tenth place. The lockup ruins his chances, though, and he takes 13th. Pérez gave up on his lap, so that both Saubers, Toro Rossos and Force Indias all drop out. The fastest three in that session, Rosberg, Hamilton and Bottas. Pérez climbs out the car and removes his helmet, studying the screens intently as he looks at what went wrong. The top ten shoot out will thus feature: Mercedes, Williams, Ferrari, McLaren, Red Bull. Williams send their drivers out first, with Bottas and Massa taking to the track. Rosberg swiftly follows. A couple of minutes gone and we've got nine drivers out on track. Only Kimi Räikkönen plays it cool and stays in the garage. Bottas sets the first lap time of the session, 1:33.329, with Massa two tenths behind him. Rosberg shaves seven tenths off the time of the Williams, sweeping into P1 easily enough. Hamilton doesn't quite have enough on this first run, crossing the line three tenths down on his teammate, and taking second for now. Ricciardo's first run sees him seventh, with Vettel down in ninth. Red Bull have gone for a wet setup for tomorrow, though, potentially sacrificing pace today. Quiet on track again as the drivers return to the pit lane. Four minutes left on the clock. Last laps coming up! It's Sebastian Vettel that heads out first this time, with teammate Ricciardo quickly following behind. And they're off. All ten now out on track and ready to hustle for the best possible time! Vettel misses the apex as he overcooks the corner, messing up this lap time. He might be able to improve on his ninth place but he's don't going to climb very much. Sixth for now, as Vettel crosses the line before the chequered flag drops and gives himself time for another lap. Ricciardo jumps above his teammate, sixth place for the Australian. Rosberg improves on his own P1 time, with Hamilton on a scruffy lap behind. It's not good enough for the Brit, giving Nico pole. Pole position for Nico Rosberg with a time of 1:32.506. Bottas finished ahead, but it was close between the Williams duo. About four tenths. With the weather warnings for tomorrow, it's not really clear how much of a race we will get to see. It could be all of it, it could be none. Hopefully the former, but if there's one thing weather is, it's unpredictable. I'll be back here tomorrow to cover whatever we get, so I hope you'll join me then!